Boo! 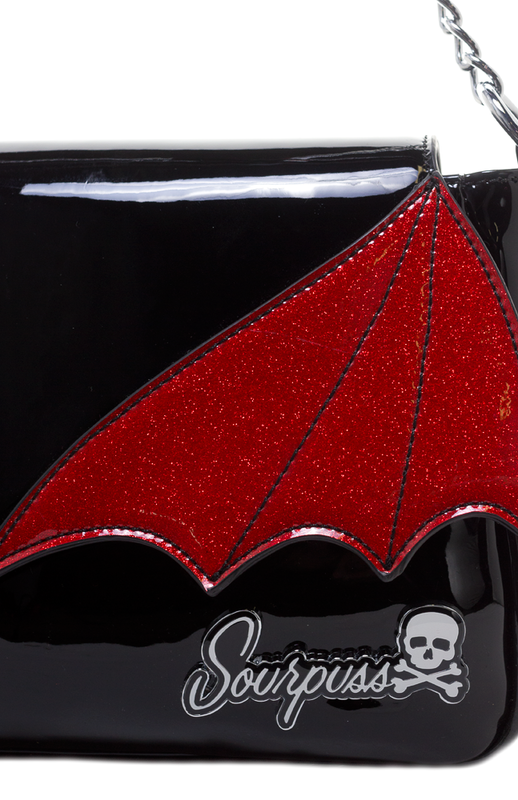 Serve up some spooky realness with the Sourpuss sparkly black Bat Wing Clutch! 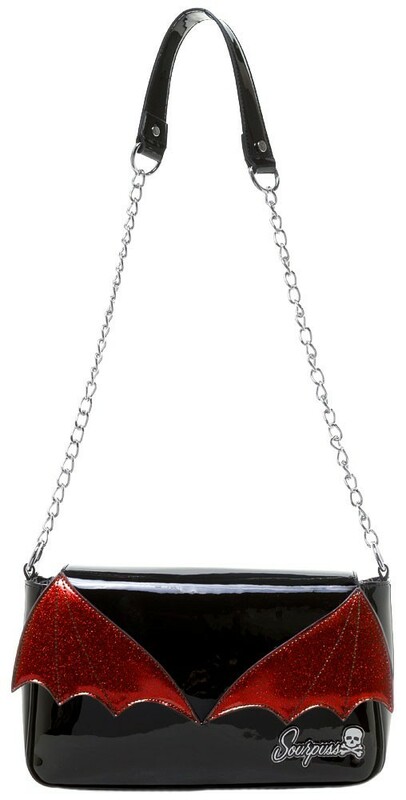 Perfect for all creatures of the night, this purse features a red glitter vinyl bat wing design, and a chain handle with matching black vinyl shoulder strap. The interior has a spiderweb patterned lining with two open pockets and one zippered pocket to keep you organized. Measures 12" x 7.5"x 3.5"